Football isn’t just a contact sport — it’s a dangerous game of massive bodies colliding into one another. And while it may seem obvious that this sport can do extraordinary damage to brains and bodies, it’s taken far too long for the NFL, the medical community, and football fans to fully reckon with this. 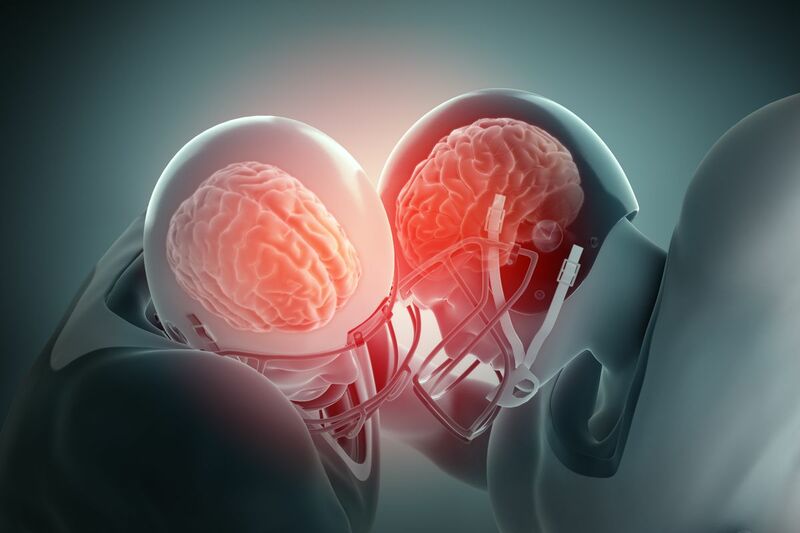 Doctors have learned a tremendous amount about concussions and chronic traumatic encephalopathy, or CTE, a degenerative brain condition believed to be caused by repeated hits to the head, since the first former NFL player was diagnosed with CTE in the early 2000s. Concern around the issue has only grown now that more than 100 former NFL players have received a postmortem diagnosis of CTE, and new research is finding that youth football may be a risk factor for CTE down the line. Football is still an immensely popular sport in the United States, and this weekend, millions will watch and enjoy the Super Bowl. But all the evidence we now have about the very serious risk of brain injuries casts a dim light on the future of the sport. Here’s what you need to know. The human brain — the most complicated and powerful organ on planet Earth — is squishy. And when a person hits their head hard, the brain can bounce around and twist in the skull. It’s this rapid motion of the brain inside the skull that creates the traumatic brain injury known as a concussion. During impact, individual neurons can be stretched and damaged. Brain chemistry gets out of whack. Concussions make people “see stars,” become disoriented, lose consciousness, become sensitive to light and sound, get headaches, and have sluggish or confused thoughts for weeks and even months. Heads and bodies get smashed and shuddered every week during the football season. And despite changing the rules to allow for more severe penalties and fines for flagrant helmet-to-helmet hits, the NFL has not succeeded so far in preventing concussions. The number of concussions sustained during practice and gameplay in 2018 fell somewhat, from a total of 281 in 2017 to a total of 214 in 2018, according to the NFL’s injury data. But they still occur regularly. This data doesn’t cover the countless additional blows to the head that don’t reach the level of concussion but still may pose a risk for the brain. CTE is not about single concussions. It’s the result of repeated concussions — and even head impacts that are not quite as severe — which can result in lasting structural changes in the brain. “The pain you feel [after a hit] is not necessarily an indicator of the damage that does to your head,” says Philip Bayly, an engineering professor at Washington University in Saint Louis, who has been studying the mechanics of brain movement inside the head. Specifically, brains with CTE accumulate a protein called tau (which is believed to be dislodged from brain fibers during an injury). Tau clumps together in the tissues of the brain, interrupting critical information flow. There are approximately 0.41 concussions per NFL game of American football: 67.7% of concussions involve impact by another player’s helmet, 20.9% involve impact by other body regions (e.g., a knee), and 11.4% involve impact on the ground (29, 31, 32, 40). It has been reported that 9.3% of the concussions involved loss of consciousness and 2.4% of the concussions resulted in hospitalization. Most (92%) of the players who sustain a concussion return to practice in less than 7 days; fewer (69%) of the players who experience loss of consciousness return to practice in less than 7 days. And since then, evidence has only mounted that the repeated head blows in the NFL contribute to the disease. In 2017, Aaron Hernandez, a former player for the New England Patriots, hanged himself in prison while serving time for a violent murder. Upon an autopsy, doctors diagnosed him with CTE. It was the most severe case ever seen in a person his age (27 years old). The symptoms of CTE creep slowly, taking 8 to 10 years to manifest after initial repeated brain traumas, and can grow worse over decades. Here’s a diagram of what’s happening inside the brain as CTE grows more and more severe. These images are from a 2013 study in the journal Brain, which assessed 85 brains donated from former athletes, veterans, and people with a history of brain injury. The brown stains represent the dangerous tau proteins. What starts off as areas of the brain pockmarked with tau spreads to surround whole brain structures. In stage I, symptoms are subtle: headaches, short-term memory loss, and loss of attention. By stage IV, “most subjects also showed profound loss of attention and concentration, executive dysfunction, language difficulties, explosively, aggressive tendencies, paranoia, depression, gait and visuospatial difficulties,” the paper explains. CTE can only be conclusively diagnosed in autopsy (though progress is being made in diagnosing via MRI). So it’s hard to say how many current and former football players have the condition. What we do know is that there are dozens of cases of confirmed CTE — enough to be alarming. In 2017, JAMA published a major and disturbing finding. Researchers had collected the autopsied brains of 202 former football players who had donated their brains to science, or had them donated via their next of kin. The players included those who had played in the NFL, but also those who only played through college, and a few who had only played in high school. Of the 202 brains, 177, or nearly 90 percent, were diagnosed with CTE. And there was a pattern: Those who had played football longer were more likely to have worse brain damage. Among the former NFL players in the sample, 99 percent had CTE. This suggests the effects of brain trauma on CTE are cumulative. The more trauma over a longer period, the worse the symptoms. This is not to say that 99 percent of NFL players will develop CTE (the brains were donated and are not a representative sample). But it does show that football players are, indeed, at risk. One of the biggest consequences of the concussion research is that fewer young people are participating in the sport. In a recent documentary, retired star quarterback Brett Favre said he’d prefer that his grandsons play golf over football. Celebrities like former President Barack Obama have said they wouldn’t let their sons play football. National trends reflect the unease. The number of high school students playing football dropped by 20,000 between 2016 and 2017, continuing a downward trend. In 2008, 1.11 million high school students played football. Now, it’s 1.039 million. That said, football is still the most popular sport for high school males. And there’s some data to suggest that drop in participation is led by white students. “Black kids in lower-income communities without a lot of other sports available are still flocking to football,” the Atlantic’s Alana Semuels reports. And parents have reason to be concerned about young kids playing the sport. A 2015 study found that former NFL players who began football before age 12 fared worse on cognitive assessments than those who started later in their teens. And this held true even controlling for number of years played. It suggests (though not conclusively) that playing football at ages younger than 12 is more dangerous for long-term cognitive decline than starting at an older age. “The results of this study suggest that sustaining repeated head injuries during critical periods of brain maturation could alter neurodevelopmental trajectories, leading to later-life cognitive impairment,” the study concluded. More recently, a study on the brains of deceased football players also found a link between early play and CTE. Athletes who began playing tackle football before age 12 developed the cognitive and behavior symptoms of CTE 13 years earlier on average than those who started playing later in their teenage years. “Every one year younger that participants began to play football resulted in earlier reported onset of cognitive and behavioral [and] mood symptoms by approximately 2.5 years,” the study concluded. However, the study did not find an increased amount of physical abnormalities in the brains of athletes who began playing earlier than age 12. Scientists are still working to figure out the exact relationship between physical brain damage and the start of symptoms — and are recognizing that behavior symptoms can occur without detectable physical changes. Regardless, brain changes are a concern for younger football players. Yet another study found evidence to suggest that college football experience can lead to a decrease in the volume of the hippocampus — a critical region for memory — compared to people who never played college football. And teenage brains can show signs of CTE, as a study of four brains from deceased teenagers who died within a few weeks of sustaining a head injury showed (the teenagers had died of either suicide or brain swelling). One of the brains had enough tau protein to be diagnosed with stage 1 CTE. Again, this study doesn’t suggest that CTE among teenagers is prevalent. It just shows that it is possible. There are many uncertainties left in the research. A study of 3,000-plus Wisconsin men who had played high school football in the 1950s found no elevated rates of cognitive impairment. This shows not everyone who plays football as a teen suffers consequences, and researchers still need to better understand how much exposure to football tackles is too much. 6) The NFL has made the game somewhat safer. But it’s still dangerous. The NFL didn’t acknowledge the concussion problem until 2009; for years, the NFL had downplayed and denied the links between concussions and cognitive decline. (Frontline has a fantastic documentary about how the league turned a blind eye to the problem for years.) And these days, the league is donating millions to concussion-related research. But there has been significant friction with the scientific community over the issue. In July 2018, the NFL and the National Institutes of Health ended a $30 million partnership with half the money left unspent. According to ESPN, “the NFL backed out of a major study that had been awarded to a researcher who had been critical of the league,” which precipitated the ending of the partnership. The league has also made some steps to make the game a bit safer. (Read SB Nation for a full explainer on the NFL’s concussion protocols.) 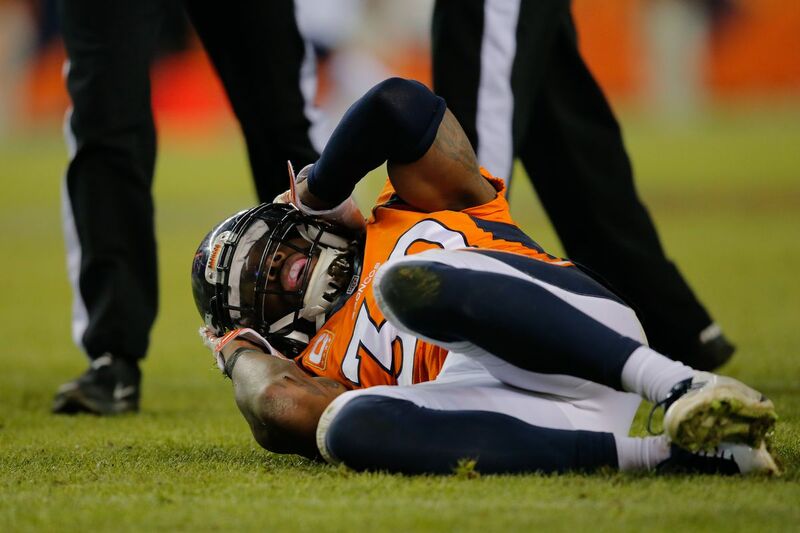 Players are immediately removed from the field when there’s a potential concussion. If diagnosed, they can only return to play after completing a five-step protocol, which includes an unspecified period of rest, followed up by supervised exercise, and then examinations not just with the team doctor but also with an independent neurological consultant. Critics, however, have charged that these protocols have been enforced unevenly across teams and players. Furthermore, the NFL has banned helmet-to-helmet hits, made kickoff plays slightly safer, and limited the amount of contact allowed in practices. It’s also looking into artificial playing surfaces to soften the blow of impacts. But even with better helmets, football might not ever be a perfectly safe sport for brain health. As long as football is a sport where human-to-human collisions are fundamental to play, it’s going to be a dangerous game.